Peeps! 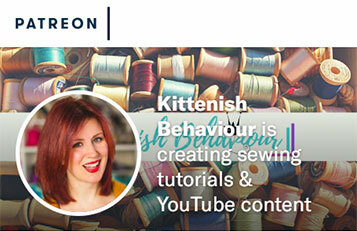 It brings me great pleasure to announce the first KB Sewing Retreat (of hopefully, many)! I have teamed up with the lovely Ruth from Lisle Combe to bring you a spectacular weekend filled with lots of sewing, yummy food and Isle of Wight goodness! Here’s what you can expect…. 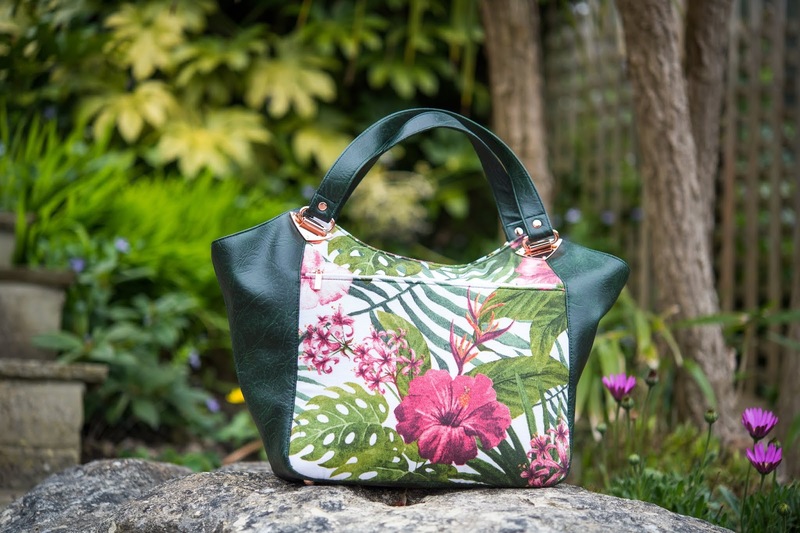 Our sewing adventure will be bag making! The pattern will be confirmed in March 2019 and I will be sending out fabric, interfacing and hardware requirements. I will be offering hardware and interfacing kits to purchase if you only wish to worry about picking your fabrics! Arrivals from 3.30pm at Lisle Combe. You’ll be met with welcoming beverages and yummy homemade cake. You’ll be introduced to your accommodation, which will be your home for the next couple of days. Everyone to meet at Lisle Combe for carriages (fancy way of saying Taxis) that will whisk us away to The Spyglass for dinner whilst overlooking the sea. Carriages return to Lisle Combe and Swifts & Swallows. For those staying at Lisle Combe this will be served in the dining room. For those staying in Swifts & Swallows a self catering breakfast will be provided for you to help yourselves. For those taking the sewing class we will meet in the lounge/sewing room to start on our sewing adventure. For the Non-Sewing Peeps that have braved the trip to the Island you will be whisked away in another of those fancy carriages to enjoy a tour of the Island. There will be plenty of refreshment stops between the beautiful sights the Island has to offer plus there will be a lovely lunch included. You will be back at Lisle Combe for 4.30pm. We’ll have a break at this point for some tea and biscuits…..it’s been a long morning! Time for lunch! Finger sandwiches and cream teas all round. We all deserve a well earned break right about now for some more tea and biscuits. Your Non-Sewing Peeps will be arriving back at base around about now so it’ll be a fab time to break for the day, giving you time to relax and prepare for the evening…. We’ll all gather in the grand hall for pre Gala Dinner Drinks with time to admire everyones outfits. Feel free to dress up as much or as little as you like. Probably about time to start thinking of your beds as you have another busy day ahead of you tomorrow! For those taking the sewing class we will meet back in the lounge/sewing room to continue our sewing adventure. For the Non-Sewing Peeps that have braved the trip to the Island, you will have the pleasure of being shown around St Lawrence, the Island’s best kept small village (2016 & 2018….we don’t talk about 2017) by the Kew Gardens trained horticulturist David Trevan. He’ll show you around our beautiful village and make sure you all work up an appetite for your lunch at the Buddle Inn, Niton (please note that this is a walk of 4 miles) … You will be back at Lisle Combe for 4.30pm. We all deserve a well earned break right about now for more tea and biscuits. The Non-Sewing Peeps that have braved the trip to the Island will be arriving back at base around about now so it’ll be a fab time to finish. They’ll want to admire your handiwork and you’ll also need to get ready…. We will all gather in the lounge for Pizza and Pyjama night! Be sure to wear your fanciest or wackiest pyjamas as we settle in to the lounge to watch a fabulously cheesy movie (there may be singing involved….you have been warned!) If the internet allows I’ll be live streaming the event so that the Peeps around the world can join in. I’ll definitely be thinking of my bed right about now, it’s been a long and busy weekend! Check out and say our goodbyes. The prices listed below include ALL of the food and entertainment as outlined above. Alcoholic drinks are NOT included but will be available. Lisle Combe operates a cash bar only. Discounted Ferry tickets are available through Lisle Combe. Travel between the Ferry terminals and Lisle Combe is NOT included in the prices. If you would like to be picked up from any of the foot passenger terminals on the Island (West Cowes, Ryde Pier Head or Yarmouth) please let me know and I will arrange a taxi on your behalf. I will be able to hire sewing machines for those unable to bring their own. Please let me know when you book if you are bringing your own or if you would like to hire one. There will be a small extra charge for machine hire. 1 Sewing Peep staying in Lisle Combe will cost £850 for single occupancy of a double room. 1 Sewing Peep staying in Swifts and Swallows will cost £700 for single occupancy of a double room. There is 1 Twin and 2 Double Rooms available at Lisle Combe. There are 2 Double Rooms and 4 Twin Rooms available in Swifts & Swallows. There are 12 Sewing Peep places available and there are an additional 7 places available for the Non-Sewing Peeps Island Tour. These will be allocated on a strictly first come first served basis. I will be running a wait list in the event that anybody cancels. The retreat is now sold out. Please note that there is only enough room for 10 Sewing Peeps to have SINGLE occupancy between Lisle Combe and Swifts & Swallows, sharing is advised. I appreciate that this is an expensive time of year so the initial deposit to hold your spot will be £50 per person. The remainder of the deposit will be £150 per person due on the 1st February 2019. The final balance will be due 28th March 2019. Holding Deposit £50 per person due immediately, NON REFUNDABLE. Remainder of Deposit £150 per person due 1st February 2019. Full Balance of Retreat due 28th March 2019. All payments will be taken through PayPal. You can still use this service if you don’t have a Paypal account the website talks you through the process. If you would like to make payments towards your retreat in-between the deposit being paid and the balance due date you can do so by buying gift vouchers through my website and these will be deducted from your final balance. Make sure that you add your name and “Sewing Retreat” to the voucher when you purchase it. If the balance has not been paid by the 29th March 2019 I’ll send you an email to confirm that you still wish to take part in the retreat. If I don’t hear back from you your £150 deposit will be refunded and the first person on the wait list will be approached. If for any reason you can’t make the retreat and need to cancel after the 28th March 2019 there will be no refund but your ticket will be transferable by your own arrangement. If you are sharing a room you will need written consent from your room buddy that they are happy to share with whomsoever takes over your spot. All monies will be dealt with between yourselves. As I have mentioned places will be allocated on a first come first served basis. Once we have the rooms allocated I will message all the Peeps with the name and email address of their room buddy so you can get to know each other (if you don’t already) before you arrive! 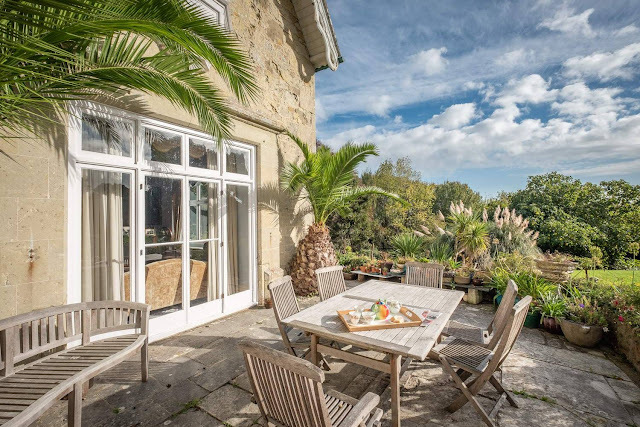 Lisle Combe is a family run Bed and Breakfast, owned and managed by husband and wife, Robert and Ruth Noyes. 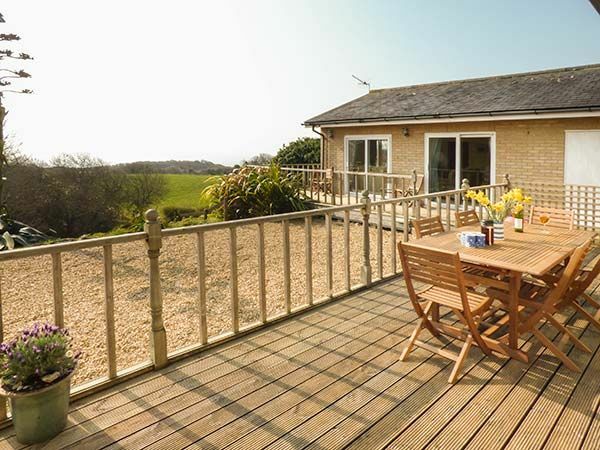 It is situated on the southern side of the Isle of Wight, in a picturesque haven, with uninterrupted views over the English Channel. The peacefulness of the surroundings create an atmosphere which can inspire all of us. 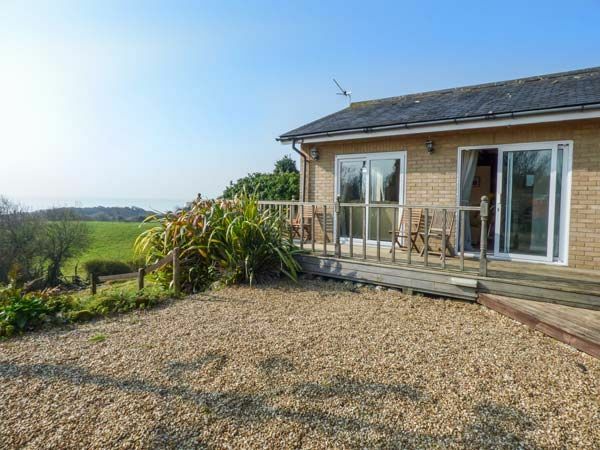 Essentially a retreat from the hustle and bustle of working life, Lisle Combe is the ideal place to stay. We cater for couples, families, solo travellers and groups. Come and reconnect, and recharge, surrounded by stunning scenery, as well as all the local wildlife, including the island’s famous red squirrels. There is easy access to charming coastal walks, rocky chines and coves where in days gone past smugglers, and maybe even pirates, where known to frequent. 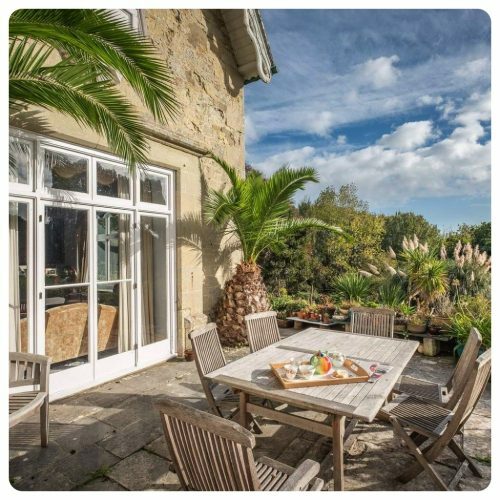 As a family run business, we at Lisle Combe understand the importance of an enjoyable and stress free break, it’s what we do. We will do our very best to make your stay the very best experience it can be. Bank End Farm, the farm by the sea, is located in St. Lawrence, Ventnor. It is beautifully hidden away on the south coast of the Isle of Wight, in a truly idyllic location, one of Britain’s most famous Victorian health resorts due to its unique micro-climate. Swifts has wonderful sea views across the fields. The nearest cove is just a 5 – 10 minute walk through the farm. It has been furnished with great care and provides attractive and comfortable accommodation which is all on one level. There is off road parking for up to 2 cars. Swallows has wonderful sea views across the fields. The nearest cove is just a 5 – 10 minute walk through the farm. It has been furnished with great care and provide attractive and comfortable accommodation which is all on one level. There is off road parking for up to 2 cars. The walk from Swifts & Swallows (New Bank End Farm) to Lisle Combe is a short one! On dry days it can be accomplished through the property gardens and on not so dry days the road is advised! There is parking at Lisle Combe so car pooling around the corner on a rainy day would be recommended!